Great gifts from nature. 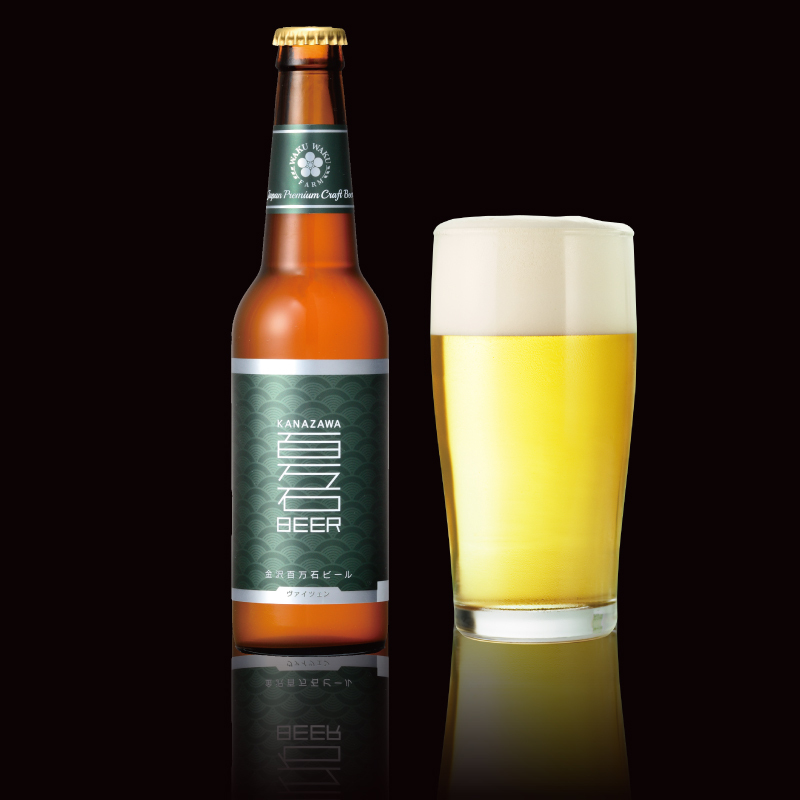 The premium beer with home grown barley. LMade with homegrown six-row barley from Ishikawa, Japan. 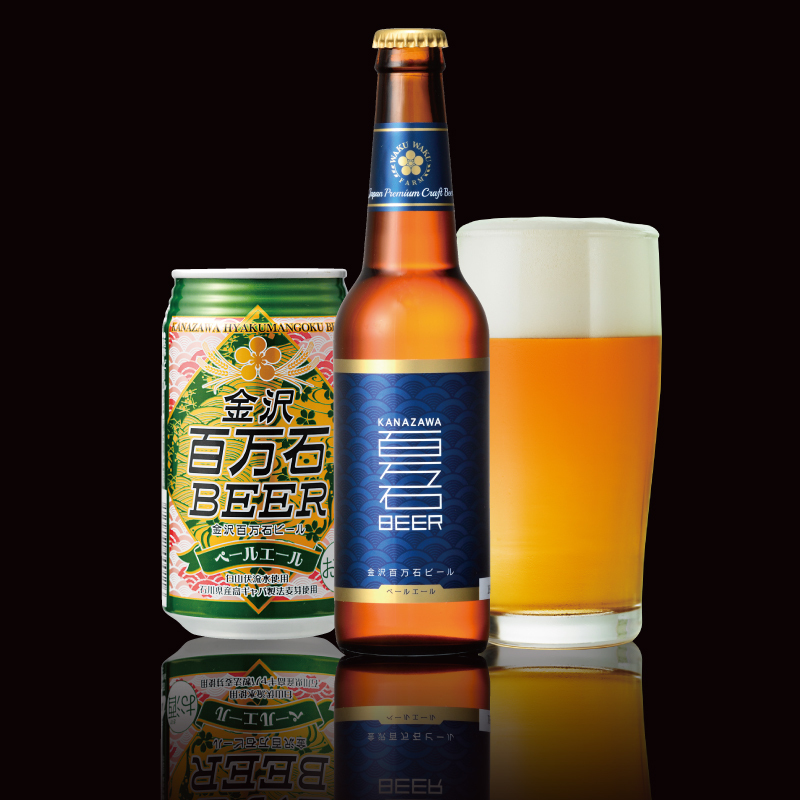 The well-balanced bitterness of the hops and malt goes great with any food, including sushi and other Japanese dishes. Its mild, pleasant comes from the Koshihikari rice adjunct. 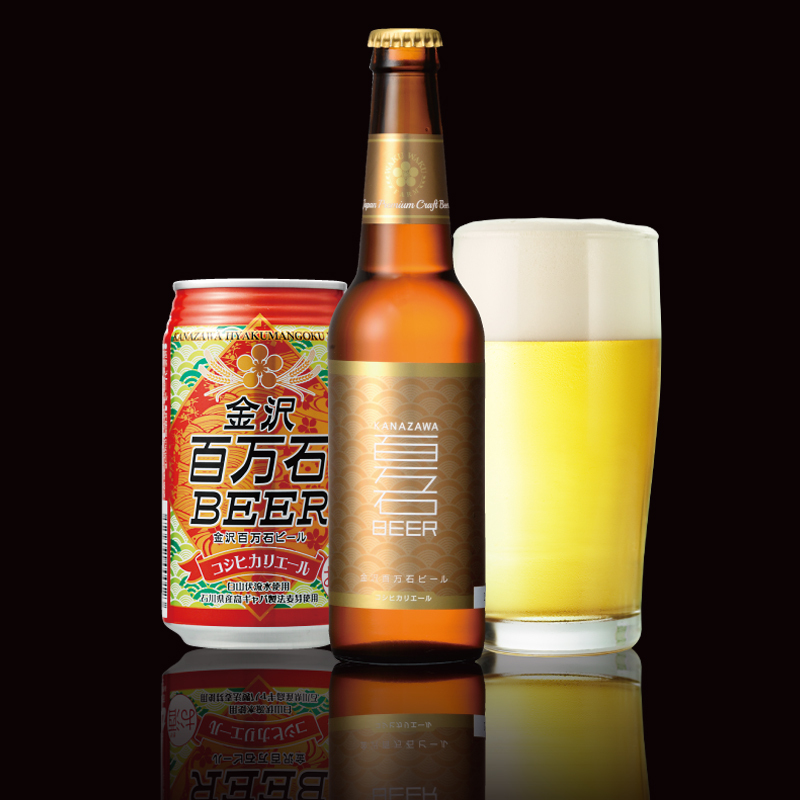 Koshihikari Ale is easy to drink, with the refreshing flavor of Japanese craft beer. Goes well with salad and light appetizers, as well as sushi. 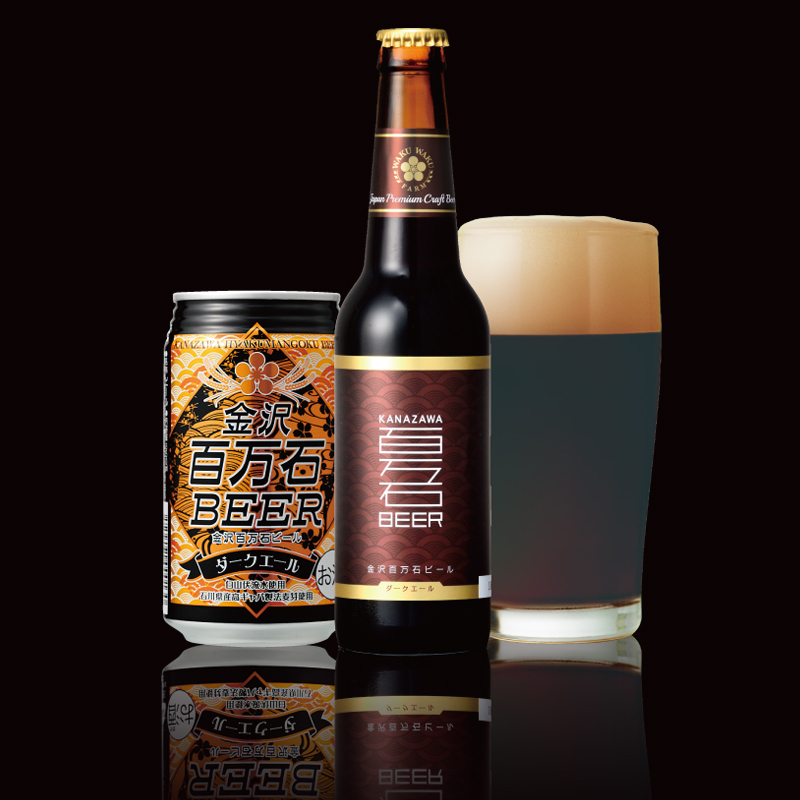 Features the bitterness of well-blended hops and home-grown Ishikawa six-row malt for the full-bodied flavor of a traditional dark beer. Great with meat and Western dishes. The unique fruity flavor and rich creaminess of this beer distinguish it from other cloudy weizens. 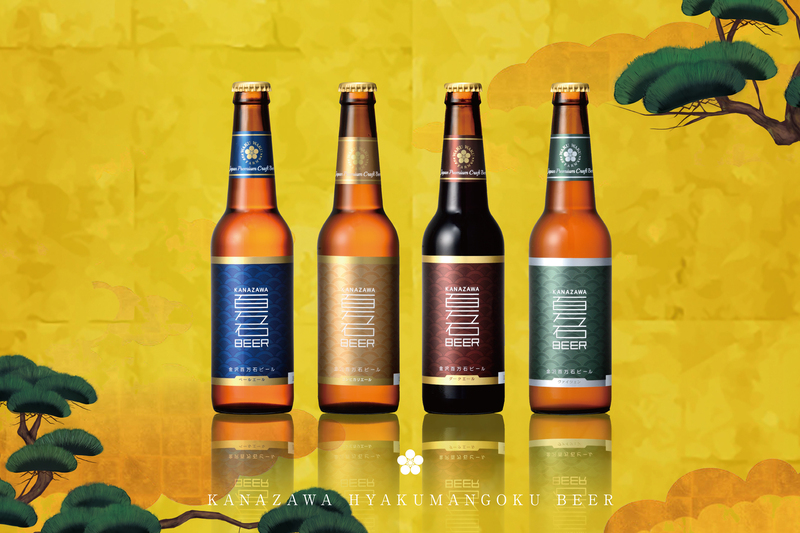 Brewed using Ishikawa six-row barley and the newly developed Yuki-Chikara local wheat from Komatsu, Japan.